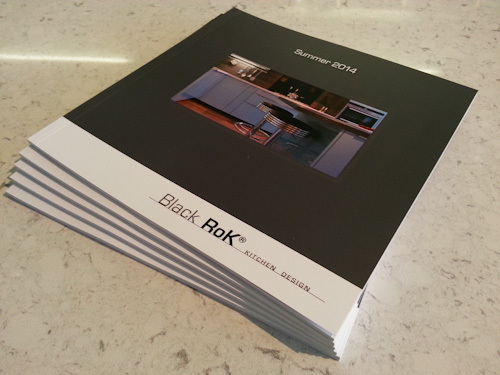 Our first kitchen design brochure arrived today. We often hand out brochures in our showroom giving details of the types of kitchens we design and install; the furniture, appliances taps, etc. But this is different, it’s all about Black Rok Kitchens, the way we work, the actual kitchens we create, and what our clients think of their kitchens and our service. You can read it online, download a pdf copy, ask us to send you one, or even better, pick one up from the showroom.